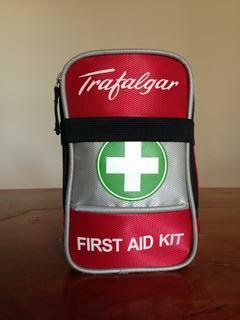 Posted my mini kit which I keep on my person thought I would add the main kit I carry to show the big picture of my available first aid supplies. Again I have used an AMK kit as the basis due to the fantastic bag they come in. This kit is far more comprehensive everything fits in the bag except the snake bite bandages which are carried separately in a plastic bag. The kit itself weighs 350 grams and the snake bandages weigh 200 grams. I do a similar thing; little urban kit with some basics and edc stuff. If I'm out bush I toss in another small bag that is a more comprehensive addition to the urban kit. Good kit. I like the burn aid. 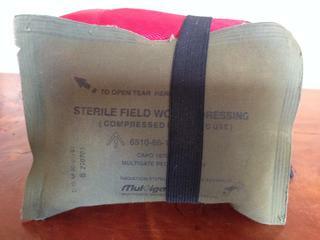 I never use to carry burn aid n my kits until very recently. Well, I ended up pouring boiling water over my hand in the dark, the worst I ever have- I had burn gel. If I could offer a suggestion, get anti-biotics! I have needed it twice in serious situations and did not have it Tailoring a kit to your specific needs & environment works well too I've heard. This kit has triple antibiotic ointment in it, is that what you meant or did you mean an oral broad spectrum medication? This kit has antibiotic ointment in it, is that what you meant or did you mean an oral broad spectrum medication? I meant the latter of you're options- oral medication anti-biotics for blood, skin and flesh infections. I also carry an iodine pre-dressing cream, similar to you're ointment as I find it stays on. When I was considering my kit I talked to my Doctor and remote emergency service paramedics. I used their advice and my own experiences to help put my kit together. Excepting I would need a prescription from a Dr for antibiotics, I figure if I need them when out bush it’s time to come home.